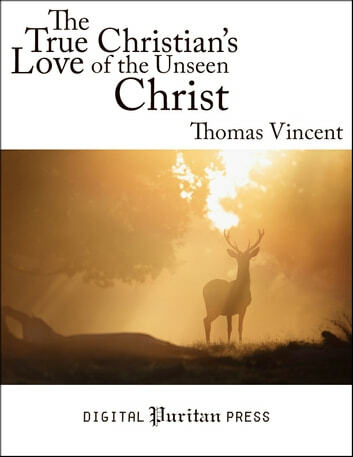 “Faith without love to Christ is a dead faith.” So states Thomas Vincent in The True Christian’s Love of the Unseen Christ—a book whose sole stated purpose is to help the reader obtain love for Christ in truth and strength. Christian, if your love for Christ has gone cold, if you have lost your passion for serving Christ, this book will be a spark for rekindling that love again, and a bellows for fanning it into flame. 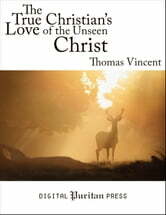 Thomas Vincent (1634–1678) was a Puritan pastor who was deprived of his pulpit when the Act of Uniformity was decreed in 1662. He continued to minister to young people alongside Thomas Doolittle at a boarding school in Bunhill Fields. When the Great Plague ravaged London in 1665 and everyone who could afford to leave the city was fleeing, Vincent instead chose to remain, so that he could minister to the sick and suffering. Originally published in 1677, this classic treatise has been meticulously edited to benefit a new generation of Christian readers. Archaic language has been gently modernized, and helpful footnotes have been added to aid the reader. This edition includes a biographical preface and review questions designed to facilitate group discussion or personal reflection.